The following notes give a brief description of what approvals, directives and certification are about. (Further details can be found via relevant web searches) (o1/17). “Certification refers to the confirmation of certain characteristics of an object, person, or organisation. This confirmation is often, but not always, provided by some form of external review, education, assessment, or audit. Accreditation is a specific organisation process of certification”. CE marking is a mandatory conformity marking for certain products sold within the European Economic Area (EEA) since 1985. The CE marking is also found on products sold outside the EEA (European Economic Area) that are manufactured in, or designed to be sold in, the EEA. This makes the CE marking recognizable worldwide even to people who are not familiar with the European Economic Area. The CE marking is the manufacturer’s declaration that the product meets the requirements of the applicable EC directives. The mark consists of the CE logo and, if applicable, the four digit identification number of the Notified Body involved in the conformity assessment procedure. “CE” originated as an abbreviation of Conformité Européenne, meaning European Conformity. 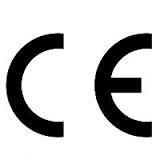 The CE marking is a symbol of free marketability in the European Economic Area (Internal Market). The ATEX directive consists of two EU (European Union) directives describing what equipment and work environment is allowed in an environment with an explosive atmosphere. ATEX derives its name from the French title of the 94/9/EC directive: Appareils destinés à être utilisés en ATmosphères EXplosibles. IECEx is a voluntary system which provides an internationally accepted means of proving compliance with relevant IEC standards. IEC standards are used in many national approval schemes and as such, IECEx certification can be used to support national compliance, negating the need in most cases for additional testing. CSA International (Canadian Standards Association), a member of the CSA Group, is a provider of product testing and certification services for electrical, mechanical, plumbing, gas and a variety of other products. Recognized in the U.S., Canada and around the world, CSA’s marks appear on billions of products worldwide. The National Institute of Metrology, Standardization and Industrial Quality (INMETRO) is a Brazilian federal autarchy, linked to MDIC, the Ministry of Development, Industry and Foreign Commerce. In Brazil, certification bodies must be accredited by INMETRO. 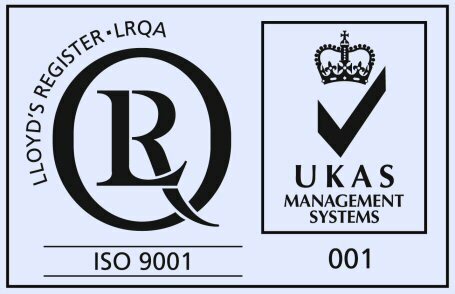 What is ISO9001 Quality Approval? ISO 9001 is the internationally recognized Quality Management System (QMS) standard that can benefit any size organization. Designed to be a powerful business improvement tool, ISO 9001 Quality Management certification can help you to: Continually improve, streamline operations and reduce costs. SYNATEL is assessed and approved by Lloyd’s Register (LRQA). Lloyd’s Register Group Limited (LR) is a technical and business services organisation and a maritime classification society, wholly owned by the Lloyd’s Register Foundation, a UK charity dedicated to research and education in science and engineering. The organisation dates back to 1760. Its stated aims are to enhance the safety of life, property, and the environment, by helping its clients (including by validation, certification and accreditation) to ensure the quality construction, and operation, of critical infrastructure. (other approvals/directives/certifications are also available). 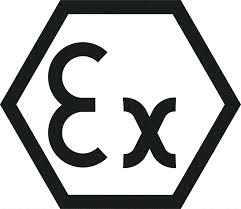 SYNATEL manufacture & supply ATEX sensors & also IECEx switches, as well as other products.